ATHLONE, Ireland, Dec. 29, 2016 (GLOBE NEWSWIRE) — Innocoll (NASDAQ:INNL), a global, commercial-stage, specialty pharmaceutical company, today announced that it has received a Refusal to File letter from the United States Food and Drug Administration (FDA) for XARACOLL, the company’s product candidate for the treatment of postsurgical pain. Upon preliminary review, the FDA determined that the application, which was submitted in October 2016, was not sufficiently complete to permit a substantive review. In the Refusal to File letter, the FDA indicated among other things, that XARACOLL should be characterized as a drug/device combination, which would require that the Company submit additional information. The company will request a Type A meeting with the FDA to respond to several issues believed to be addressable and seek clarification of what additional information, if any, will be required. Additional details will be disclosed in the future after discussions with the FDA. “We expect to work with the FDA over the coming weeks in an effort to address the open issues and to define a path forward for a successful re-filing of our application at the earliest point in time,” said Tony Zook, CEO of Innocoll. XARACOLL® is a surgically implantable and bioresorbable bupivacaine-collagen matrix that utilizes our CollaRx® proprietary collagen-based delivery technology and is being developed to provide sustained postsurgical pain relief directly into the surgical site. XARACOLL is also designed to reduce the need for systemic opioids and their associated risks. Innocoll is a global, specialty pharmaceutical company with late stage development programs that is dedicated to engineering better medicines to help patients get better. Our proprietary, biocompatible, and biodegradable collagen products are precision-engineered for targeted use. Applied locally to surgery sites, they are designed to provide a range of benefits. The company’s late stage product pipeline is focused on addressing large unmet medical needs, including: XARACOLL for the treatment of postsurgical pain and COLLAGUARD (INL-003), a barrier for the prevention of postsurgical adhesions. Our currently approved products include: COLLAGUARD® (ex-US), COLLATAMP® G, SEPTOCOLL® E, REGENEPRO®, COLLACARE®, COLLEXA®, and ZORPREVA®. 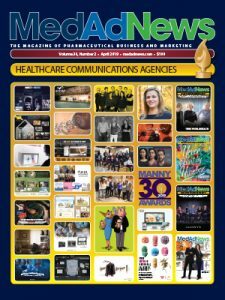 Any statements in this press release about our ongoing development of XARACOLL and our other product candidates; our interpretation of the data and results from our MATRIX-1 and MATRIX-2 clinical trials; our plans for, and the expected timing of, our XARACOLL NDA re-submission with the FDA; our plans to develop and commercialize XARACOLL and its market potential; Innocoll’s current expectations regarding future events, including statements regarding the availability of additional information to support its filing with the FDA; possible meetings with the FDA; Innocoll’s ability to address open issues or resubmit its application; plans and objectives for present and future clinical trials and results of such trials, the risk that the FDA may not accept pooled data, plans and objectives for regulatory approval and other statements containing the words “anticipate,” “believe,” “estimate,” “expect,” “intend,” “goal,” “may,” “might,” “plan,” “predict,” “project,” “target,” “potential,” “will,” “would,” “could,” “should,” “continue,” and similar expressions, constitute forward-looking statements within the meaning of The Private Securities Litigation Reform Act of 1995. Actual results may differ materially from those indicated by such forward-looking statements as a result of various important factors. Such forward-looking statements involve substantial risks and uncertainties including, but not limited to, the risk that the FDA and foreign regulatory authorities may not agree with our interpretation of the data from our clinical trials of XARACOLL and may require us to conduct additional clinical trials; XARACOLL may not receive regulatory approval or be successfully commercialized, including as a result of the FDA’s or other regulatory authorities’ decisions regarding labeling and other matters that could affect its availability or commercial potential; our plans to develop and manufacture XARACOLL; the size and growth of the potential markets for XARACOLL and our ability to serve those markets; our manufacturing and marketing capabilities; or other actions and factors discussed in the “Risk Factors” section of our Annual Report on Form 20-F for the year ended December 31, 2015, which is on file with the Securities and Exchange Commission. We may not actually achieve the plans, intentions or expectations disclosed in our forward-looking statements, and you should not place undue reliance on our forward-looking statements. In addition, the forward-looking statements included in this press release represent our views as of the date of this release. We anticipate that subsequent events and developments will cause our views to change. We do not assume any obligation to update any forward-looking statements, whether as a result of new information, future events or otherwise, except as required by law. The scientific information discussed in this news release related to Innocoll’s product candidates is preliminary and investigative. Such product candidates are not approved by the U.S. Food and Drug Administration, and no conclusions can or should be drawn regarding the safety or effectiveness of the product candidates.